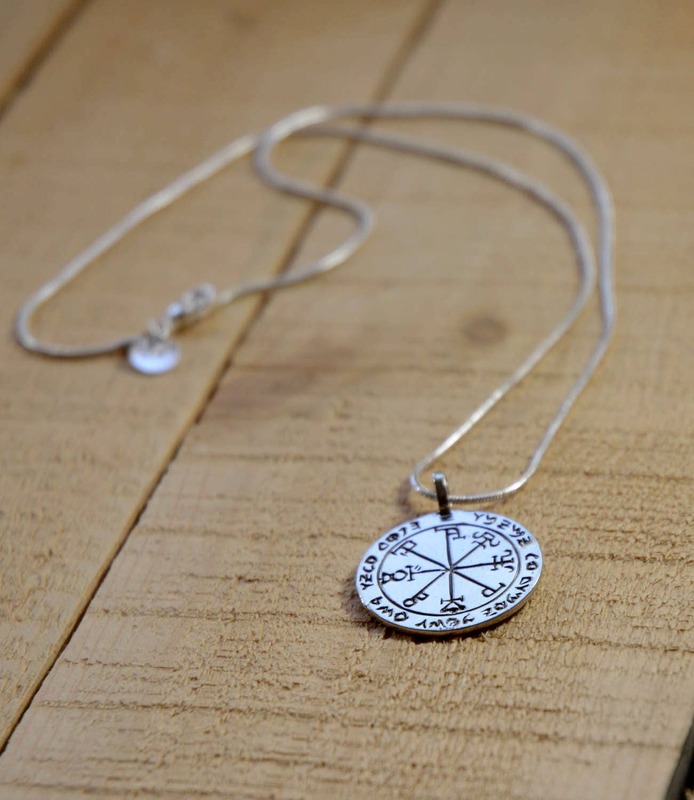 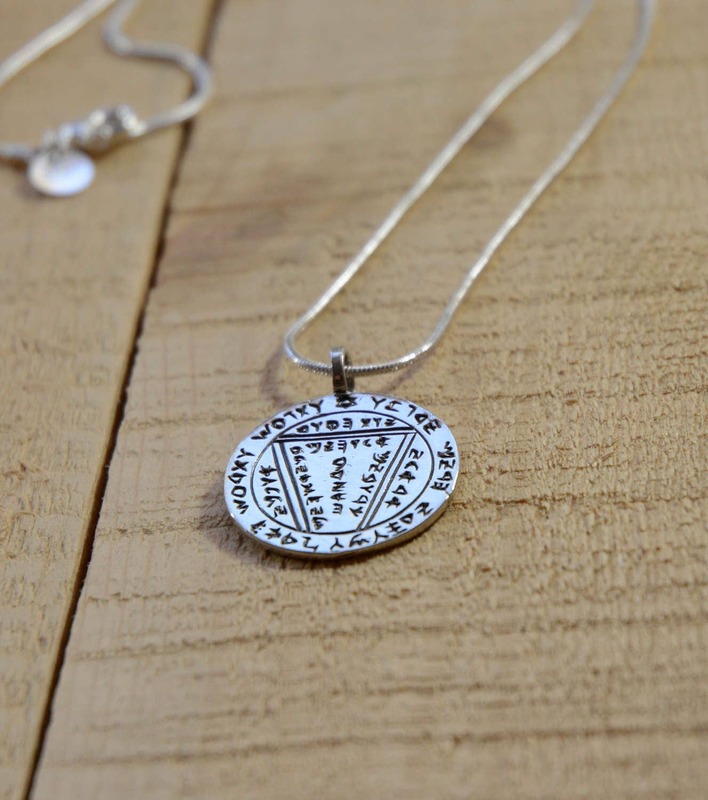 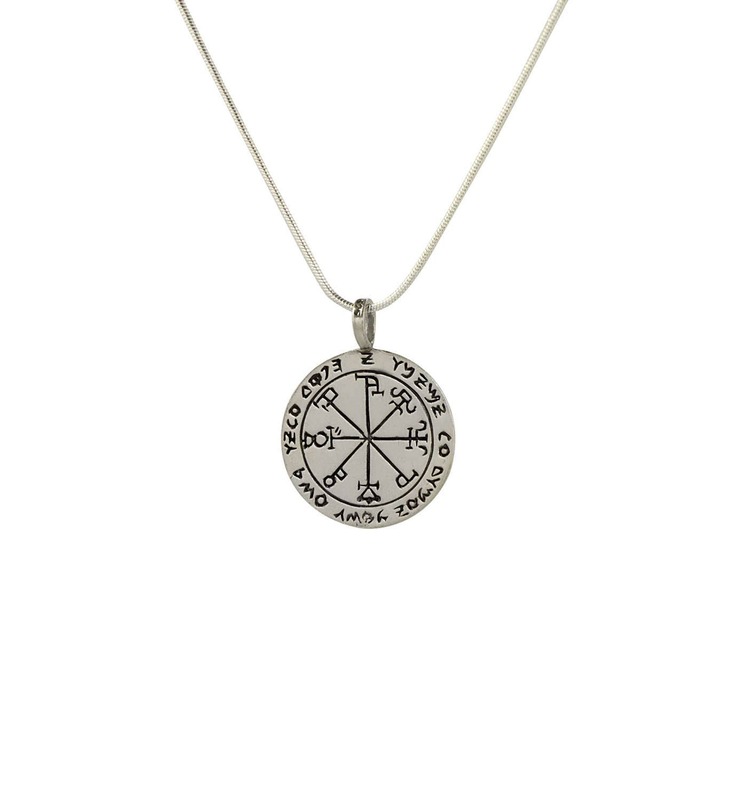 The Clarity & Creativity Silver Talisman is handmade of Sterling Silver. The amulet hangs on a 1 MM Snake Skin 925 Sterling Silver Necklace 20" in length with Lobster Claw Clasp. 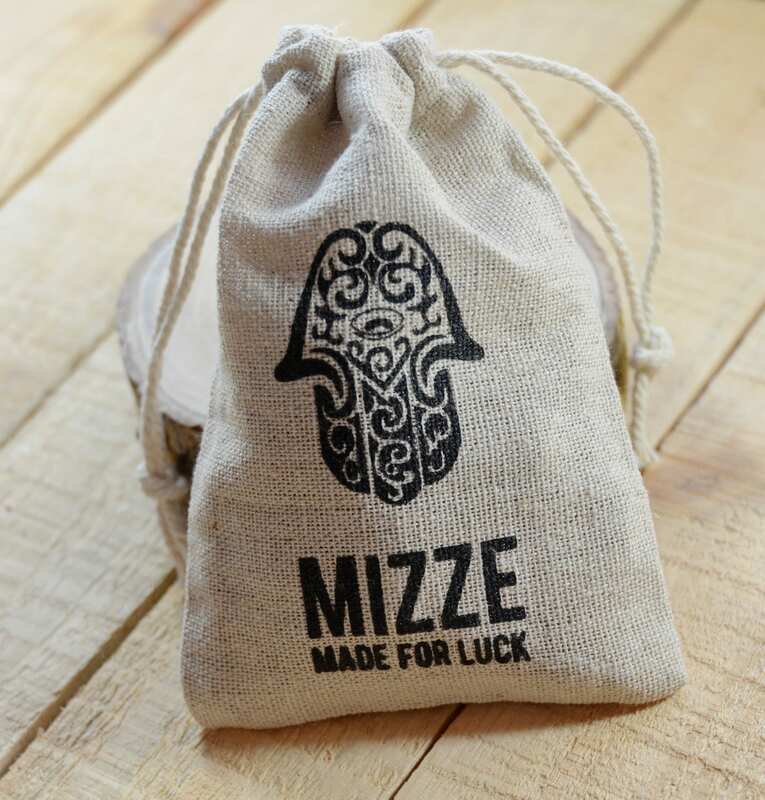 Each King Solomon talisman arrives in a special package with an explanation card.